I am extremely proud to be a part of a group of caring parents who have an extraordinary vision and the passion to create 307 Dance Academy. I have also been with 307 Dance Academy since its conception in 2010. I was born and raised in Casper, Wyoming and have always loved dance. I have been involved in the dance community for many years in various roles including; the Executive Director of 307 Dance Academy, the Competition Director for 307 Dance Academy, Studio Director at Rocky Mountain School of Dance, dance teacher, choreographer, parent volunteer, studio board member, and student. I have enjoyed choreographing for my students and have won “Judge’s Choice” awards and choreography awards. Even though it has been a “few” years since my days of dancing with the Natrona County High School POMS Team, the Natrona County Dance Team and in various school musicals, I am continually looking for ways to continue my growth in dance, including attending various workshops, attending dance teacher workshops including the Dance I.D.E.A.S. Seminar in Los Angeles, and the Dance Teacher Web Seminar in Las Vegas, and successfully completing college-level dance classes at Casper College. I have a Bachelor’s of Social Work from the University of Wyoming and an Associate of Science from Casper College. I have been working with the youth of Casper for over 29 years, first as a games director of Wyoming Special Olympics, and then as the lead Social Worker at Hemry Home. I have been an assistant coach for Youth T-ball & Basketball and a substitute teacher at Wyoming Gymnastics Center. I am the proud parent of Jacob who is nineteen and just complete his first year of college at the University of Wyoming, and McKena who is in her senior year of earning her B.F.A in Musical Theatre at at Millikin University. I feel very blessed and thankful to be able to share my days with the community and dancers of 307 Dance Academy. I am committed to the excellence that 307 was founded on and so excited for the upcoming season. Aaron M. Wood is a choreographer, educator, dancer, and mixed -media designer. From 2007 -2014, he danced with Utah’s Repertory Dance Theatre, where he performed the works of such dance legends as Merce Cunningham, Doris Humphrey, Michio Ito, José Limon, Murray Louis, Anna Sokolow, and Shapiro & Smith. He’s had the opportunity to work with such esteemed teachers/choreographers as Tandy Beal, Ellen Bromberg, William (Bill) Evans, Abby Fiat, Andrea Miller, and Peter Pucci. As a freelance dancer with Ririe Woodbury Dance Company, he’s performed the works of Alwin Nikolais. Aaron’s choreography has been performed from Salt Lake City to Beijing, China. Currently, Aaron serves as Dance Instructor/Choreographer for Casper College. Emily grew up dancing in Casper. She graduated from the University of Wyoming in 2012 with a BS in speech-language pathology and audiology, and a minor in dance performance. Upon graduation, Emily returned to her hometown with her now husband Luke, to settle down. She works as a speech therapist at ACM Therapy Group, where she also provides hippotherapy, and coaches Special Olympics. Emily is thrilled to be a part of 307 Dance Academy since 2015, where she has taught ballet, jazz, tap, pointe, skills, and adaptive dance. She is excited to increase her time coaching 307's competition team, and continue applying a strong focus in technique and drive to her classes. I was born and raised in Casper, Wyoming. I started dancing at 4 years old with Rehearsal School of Dance. At 12 years old, I joined the competitive dance troupe at Center Stage Dance Studio, and at 14 years old I transferred to Rocky Mountain School of Dance where I danced and competed until high school graduation. I then went to the University of Wyoming where I took classes in dance history, dance science, dance composition, and dance pedagogy to earn my Bachelor of Fine Arts in Theatre and Dance. While there I danced roles in Coppelia, two productions of The Nutcracker, and several faculty dance concerts. Josh Schaberg is so excited to be making his 307 Dance Academy debut this year! A Wyoming native, Josh graduated high school from Buffalo in 2007, but has spent the last 8 years working in Omaha and Los Angeles. Most recently, he studied under Susan Berkompas at Vanguard University in Orange County for Musical Theater and before that worked as the creative director for Bellevue Christian Center in Omaha, Nebraska. Josh loves all things dance, family, and coffee! His production roles include Harold Hill in The Music Man, Eros in Metamorphoses, Seymour Krelbourn in Little Shop of Horrors, Wally Wooten in the premier of Home for the Holidays. and worked as choreographer for the Omaha dance crew Pointe Blank. Josh feels so blessed to have the opportunity to team up with the amazing students and faculty at 307 Dance Academy! Hello, my name is Laura Stack and I am so excited to have joined the 307 Dance Academy and to be a part of you or your children’s journey of dance! I have spent my entire life in Casper aside from when I left to go to Mesa State College to receive my bachelor’s degree. I have been dancing since I was 3 years old. I started competitive dancing when I was 7 years old and travelled with Center Stage Dance Studio for many years competing. I assisted in teaching dance classes throughout my older years as a dancer and taught a few dance classes. I was also a part of the Kelly Walsh Dance Team while in high school. I carried this on into college and was part of the dance team at Mesa State College where I also took some fine arts dance courses. While it has been awhile since I have been involved in the dance world, I am very excited to be back and embarking on this journey with you! Hi my name is Peyton Hatcher, and I am 15 years old. I am a sophomore at Natrona County High School. I've been dancing since I was 2, and I have been competing since I was 6. I train in ballet, pointe, jazz, contemporary, musical theatre, hip hop, and tumbling here at 307. I have been a teaching assistant for 307 for several years. I am so thrilled and honored to be teaching this year, and I can't wait for what this season holds! Hi, my name is Bailey Sorensen and I will be attending Natrona County High School. I’ve been dancing at 307 for 7 years, and competing with them for 6 years. I’m trained in ballet, pointe, contemporary, musical theater, jazz, hip-hop, and tumbling. I am thrilled to be able to teach again this year! My name is Olivia Suhr. I was born and raised in Casper, Wyoming. I am 17 years old. I am a senior at Kelly Walsh. Growing up I did competitive gymnastics for 7 years at Ka-Larks. After that, I continued my tumbling training for another year. Going into high school I joined the varsity cheer team. In two years I won 5 state titles in All Girls Stunt, All Girls Non-Stunt, and Coed. I have a big passion for tumbling and cheerleading. I am continuing my cheerleading and tumbling career this year at Kelly Walsh. This will be my second year teaching at 307. I am very excited for this season! I was born and raised in Casper and I have always enjoyed the art of dance. I took two semesters of ballet at Casper College while pursuing my Bachelor's in Psychology. I currently have an Occupational Therapy Assistant degree and provide respite care at ACM Camp where I hope to become a therapist soon. Almost a year ago I offered to help with the adaptive dance class at 307 and have loved every minute of it! Malia is a current double major at Casper College for Psychology and Dance. She grew up in studios, and danced for 8 years throughout school in local studios, including 307! She took some time off, and last year dance found its way back into her life through taking classes at the college. Dance has always been such a big part of her life and is her passion. 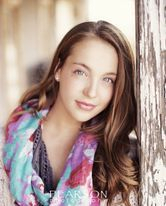 She has danced in competition teams, with the Russian ballet in the Nutcracker, and recently danced in the latest dance concert at Casper College choreographed by Aaron Wood. She is very excited for the opportunity to be part of the 307 team, and is looking forward to sharing her love for dance with students! Mackenzie will be attending Casper College next year and plans to go into the entertainment industry as an actress. Living an active and healthy lifestyle is extremely important to her, and she hopes to use her passion to help others do the same. She dreams of opening her own healthy bakery to share her passion for healthy food and baking. I’m a 24 year old Casper native and my passion for dance began at age 2 and has never stopped. I graduated from NCHS in 2012 and continued my education at Casper College where I earned two Associates Degrees in Women and Gender Studies and Human Communication. I’m currently wrapping up my Bachelor’s Degree in Communications through the University of Wyoming with a minor in Women and Gender Studies. When I heard the mission statement of 307 Dance Academy I was immediately so excited to be a part of it! I began dancing at Center Stage Dance Studio and continued my education at a variety of studios thereafter. I’ve trained and competed in a variety of styles including; ballet, tap, jazz, lyrical, pointe, hip hop and character over the years, but my primary focus is to incite a love of dance in all of my students. I wholeheartedly believe that dance transcends the physical beauty of the sport and endows dancers with ideals of health, teamwork, perseverance and confidence. I can’t wait to help create the positive and diverse culture of 307! Hello, my name is Megan and I have lived in Casper my whole life. I graduated from NCHS before continuing to get my Associates in Business Administration from Casper College. In pursuit of one of my passions, I went to Cosmetology school and now work at Sunrise Images Salon. My passion for dance started at a young age at Center Stage Dance Studio. I have been dancing since I was two years old. The experience I have is extremely strong in tap, jazz, lyrical, and ballet, as I have done them for about thirteen years. Teaching and choreographing dance are a passion of mine, and something I have always had a desire to do! I look forward to working with our students, parents, and staff. Making the classroom a fun, enjoyable, and productive place to be is one of my top priorities. Every student should feel welcome and be excited to come back and dance! I look forward to being with people who want to dedicate as much time and hard work as it takes to become the best dancers and performers possible! My name is Zoe Neville and I am 16 years old. I am a junior at Kelly Walsh. I am on the Kelly Walsh Dance Team and have been for the last 2 years. I have been dancing since I was 6 and have been competing for 4 years. My favorite style of dance is definitely tap, but I have trained in ballet, pointe, hip hop, jazz, and lyrical. I am so excited to be apart of 307 this year! My name is Isabel DuBay, and I am so excited to be teaching at 307 Dance Academy this year! I will be attending Natrona County High School. I have been dancing since I was about two years old. Over the years I have competed at numerous dance competitions, and won various awards with the 307 Competition team. I have trained in ballet, pointe, hip-hop, jazz, contemporary, and musical theatre. I have also been trained in gymnastics and tumbling. I did competitive gymnastics and competitive dancing until the age of about nine when I decided to wholeheartedly pursue my passion for dance. Outside of dancing, I am thoroughly invested in my education. I participate in all advanced classes, I was a member of my junior high’s National Junior Honor Society, as well as a WEB leader and commissioner. I cannot wait to combine my love for learning with my life-long passion for dancing this year! My name is Morgan Jaquez, I am a senior at Kelly Walsh and have been on the dance team for all four years, and I also became captain for this following season. We have won 4 consecutive state titles in 4A hip hop & jazz. I have danced since I was 3, I have also danced at a competitive level since I was 4. I have attended 2 UDA high school national competitions in Orlando, FL and I have been honored to be named an All-American dancer both 2017 and 2018. I have danced at Rocky Mountain School of Dance up until 307 opened is when I made the move and I love it here! I am beyond excited to come back to this studio as a teacher to help other dancers grow the same passion I did at this studio! Amanda grew up in an African family, being the first generation born in America she is rich of African culture. Growing up, music of all kinds filled her home. She was a HUGE FAN of musicals. She picked up musicality naturally as she grew into her teen years and joined the high school dance team, where she worked a little harder than the rest of her teammates who all previous training. She mostly did her cultures dance which she was used to. The beat of drums really gets me going, African dancing is my life and the core of most dancing. She enjoyed various activities at Kelly Walsh high school such as choir, drama class, dancing, and cheerleading. A Casper native for almost 17 years now she’s excited to be able to share her ideas and visions with everyone. Hopefully she can even share some of her cultural life here in Casper. Now a wife and mother of five girls, she's learning how to raise little dancers of her own. Her love of dance is easy to pass on to her girls because her husband is very supportive of the Arts. Lizzie VanHorn is a 2015 graduate of Kelly Walsh High School and has been dancing for 15 years, while being a teacher for 5. She has trained in Hip Hop, Jazz, Contemporary, Tap, and Ballet for as long as she can remember. With training from different studios across the country, her diversity in dance is what makes her the choreographer and dancer she is today. Lizzie’s choreography has won numerous high scores, 1st overalls, and even choreography awards. Her career in dance has presented many scholarships, awards, and national championships. Lizzie has been given opportunities to perform in the 2009 Pro Bowl in Hawaii, Parade of Stars dancer for Masquerade Nationals in Minnesota, and intensives scholarships for Broadway Dance Center in New York City. She has been a Wyoming Dance Champion 4 times. In 2012, she was fortunate enough to be a member of the Millennium Dance Complex Summer Intensive in Los Angeles, California, where she studied under Marty Kudelka (Backstreet Boys Choreographer), Kenny Wormald, Misha Gabriel, Shane Sparks and numerous others. She was scouted by talent agencies and auditioned for many music videos and TV shows. It was an experience she will always be grateful for. Lizzie has retired her dancing shoes for a while, and is currently a student at the University of Wyoming, studying Kinesiology and is in the Pre-Med curriculum in hopes of becoming an orthopedic surgeon. She loves sharing her passion for dance with her students and loves coming back to teach at what she calls her “second home,” 307 Dance Academy. My name is Makala Boren and I am sixteen years old. I attend high school at Natrona County, where I am involved in the IB Program, Honor Choir, and have participated on the dance team. I have been dancing with 307 for seven years, and competing here for six. I have taken ballet, jazz, hip hop, musical theater, and contemporary. I love 307 and am excited to be getting the opportunity to teach this year. I have been a teaching assistant for both McKena and Tina Silva; and they have been great teaching role models for me. I have also volunteered for the Boys and Girls Club Outreach Program, which has allowed me to learn how to teach kids of all ages and levels. I have been been an assistant teacher in several classes and this past year taught the Petite & Junior Hip Hop classes. Chloe is a Wyoming native, and has lived in Casper for almost 15 years. She is a dancer and competition member at 307 Dance Academy. Chloe has been attending 307 Dance Academy since the 7th grade and is so excited to be able to teach this year! She practices a variety of styles: ballet, pointe, musical theater, contemporary, and jazz. Chloe has had experience teaching through the Boys & Girls Outreach Program, being a teacher’s assistant for 307 Dance, and running a summer dance camp in 2017. Chloe is currently a Senior at Kelly Walsh High School and is also takes classes at Casper College. She not only is a part of her school’s student council, but she also participates in National Honor Society, Spanish Honor Society, and is the Senior Class Vice-President for the 2017-2018 school year. Chloe is ready for the new season to teach her favorite thing! Sadie Ridgeway is a 22-year-old native of Casper, Wyoming who recently graduated from Gonzaga University in Spokane, Washington with her bachelor’s degree in economics and sociology. Sadie has been training and competing in a variety of dance styles for 18 years, including but not limited to, ballet, jazz, tap, modern, pom, and contemporary, while specializing in hip hop, which she developed a passion for early on. Sadie attended Kelly Walsh High School in Casper and was a part of the KW dance team for four years, achieving three state titles during that time and being selected to be on the Wyoming all-state dance team. Sadie's focus has been hip-hop dancing, which she has been teaching at advanced levels for over six years. Sadie has trained in pop and locking, house, tutting, b-boying, waving, gliding, and video hip hop with numerous instructors out of Colorado and Washington. 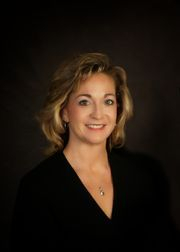 She has choreographed countless hip hop pieces for studios and individuals and has received many awards for her pieces including choreography awards, overalls, IDA awards, and one of her pieces being chosen from a pool of exceptional pieces selected across the nation to compete in the National Dance Worlds in Dallas, Texas. For the past four years at Gonzaga University Sadie has continued her dance training and education, and has been a part of the Gonzaga dance team, which focuses on jazz, funk, and pom styles. Sadie was captain of this team for two years, in which she led practices and choreographed all of the routines for the team, which were performed at basketball games and various other events. Effie was born and raised in Casper, Wyoming with her family consisting of her parents, Richard and Sally Oates and four siblings. She is a senior studying neuroscience with a focus on medical school at the Big Ten Michigan State University. Effie is a fourth year varsity dancer for the Michigan State Dance Team. She cheers at all home football and men's and women's basketball, as well as other events involved with MSU. Her team competes at a yearly college competition through the Universal Dance Association. They placed 11th in the Division IA Jazz at Nationals her freshman year and 10th her sophomore year. Effie has traveled to the 100th Rose Bowl game, the Cotton Bowl, and numerous NCAA bowl games that have enhanced her experience at MSU. Throughout her life, dance has been extremely influential. She has trained in various styles of dance from the age of three including ballet, modern, tap, jazz, hip hoop, and contemporary. She competed regularly with her studio back home traveling to Colorado, Montana, California, and Nevada to name a few. She has won numerous top solo awards and various scholarships. She attended numerous workshops and summer intensives including: The Pulse, Starpower, Spotlight Dance Cup, Summer Dance Festival Be Discovered, and Snowy Range Summer Dance Festival. Her passion for dance continues to grow as she is currently a teacher and training along side her team on a regular basis.